It may or may not surprise you that he’s still in the habit, carrying those life lessons to his faculty, staff and fellow administrators. So, when this reporter asked Duff for an interview about the school’s goals in the upcoming school year, he asked new assistant principal and Leadership Academy fellow Riley Brewer to sit in and answer questions with a little guidance from Duff himself. Brewer comes to Halls from Carter High School, another school filled with community pride, and so far she’s finding Halls “a good fit” for her, and she’s full of praise for the work that goes on at Halls High. Brewer said the school’s graduation rate was 94.6 percent in 2015-2016 and is hitting an upward trend every year. That’s supported by a graduation coach who works with at-risk students, scheduled interventions to keep students on grade level, and professional development for teachers. Duff added that, on the school level, Halls has “an incredible collaboration” on the Graduation Team, a cross-disciplinary group of faculty and staff, including guidance counselors, credit recovery specialists and more. While the team is there to help students get the credits they need, “they’re also just showing (students) that someone cares for them and that someone really wants them to accomplish this,” he said. A philosophy change has also contributed to graduation success. “It doesn’t matter when a kid masters the subject. It matters that he masters the subject,” said Duff. But, graduation rate isn’t the high school’s only goal. 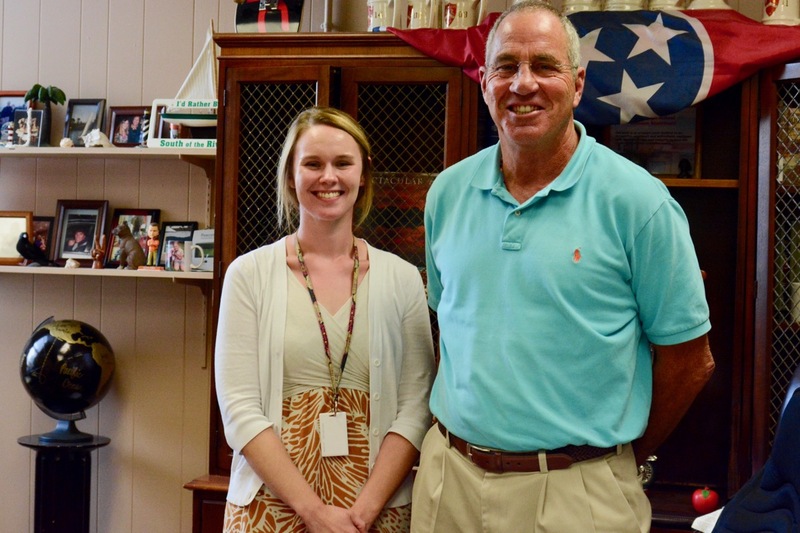 Both educators said a boost in academic rigor is coming at Halls High. While ACT scores at Halls have risen in recent years, and other benchmarks are showing progress, changes for increased college readiness are in the works, but Duff said it will be a three- to five-year process. Brewer said some changes in the classroom are already underway, including personalized learning. Plus, the needs of students who have been under the expectations of Common Core and TN Ready since elementary school will need once they hit high school. This year, Halls High School has four students taking a distance-learning computer coding class taught by someone in Farragut. Halls doesn’t offer the course, but with current technology, students at multiple schools can take the Farragut class. Expect dual enrollment offerings to grow this year, and look for new faces in administration, office staff, guidance and faculty. Brewer also called attention to the Halls Aerospace Club, now in its second year. Teacher Erica Johnson offers the program through NASA, with students completing projects and competing.